Kulakovsky, Yulian [Кулаковський, Юліян; Kulakovskij, Juljan], b 25 July 1855 in Panevežys (now in Lithuania), d 21 February 1919 in Kyiv. Russian historian, classical scholar, and archeologist. 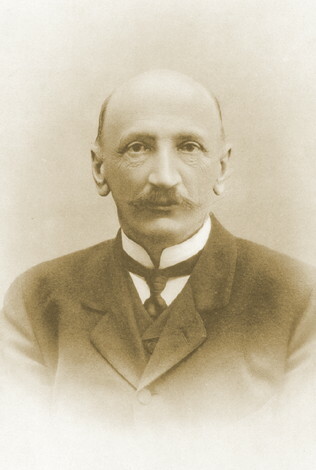 Kulakovsky finished his studies at Moscow University in 1876. In 1881 he became a lecturer at Kyiv University and in 1888, a professor. He specialized in the ancient history and geography of the northern Black Sea coast area and in the history of Byzantium and ancient Rome. He conducted archeological digs on old monuments in southern Ukraine covering the period from the Greek settlements to the late Middle Ages. Among his principal works are Alany po svedeniiam klassicheskikh i vizantiiskikh istochnikov (The Alans According to Information in Classical and Byzantine Sources, 1899), Proshloe Tavridy (The Past of Taurida, 1906), and Istoriia Vizantii (The History of Byzantium, 3 vols, 1910–15).